February 7, 2019: The world’s biggest virtual power plant, a 108MW system spread over 10 sites, has been deployed in the United Arab Emirates to deliver load balancing services, reported the government’s official Emirates News Agency on January 17. The Abu Dhabi Department of Energy delivered the region’s first grid-scale VPP system and the first integrated control system for energy storage in Abu Dhabi. The deployment aims to deliver a sustainable energy supply to meet demand across several key sites in Abu Dhabi. The VPP will secure additional power supply for six hours at a time when the solar power plant, Noor Abu Dhabi, comes online with 1.2GW of renewables in the second quarter of this year. 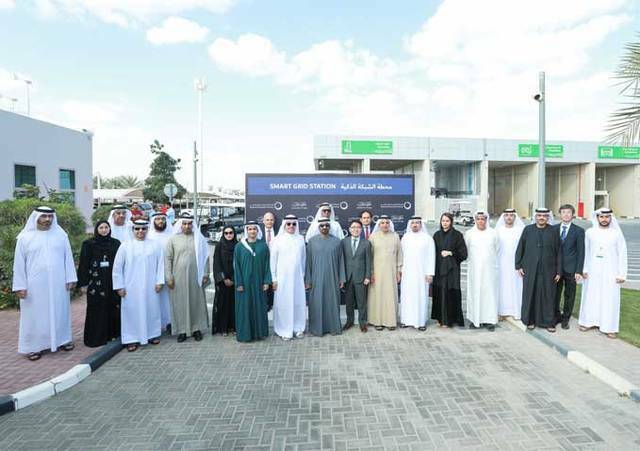 Three days later, the country opened a smart grid station in Al Ruwayyah, Dubai, which includes 200kW of photovoltaic power, a 9kW wind turbine and a 500KWh lithium ion storage system. The system will use thermal energy storage system to store surplus energy. The station will deliver peak shifting services as well as real time monitoring to reduce demand when required by eliminating non-critical loads through smart lighting, smart power outlets, and smart air conditioning system. The station is part of Dubai Electricity and Water Authority’s energy and water efficiency plans, and was built in partnership with the Korea Electric Power Corporation.